This home is located in Mountain Home off of Hwy 62/412 West. Turn onto Big Creek Estates Parkway. Turn left onto Country Club Drive. Turn right onto Olympic Drive. Turn right onto Oakmont Drive. Bryan Bell is a 49 year resident of Mountain Home and has been working in the construction business for 32 years. Bryan’s wife, Teresa manages their office, maintains budgets and assists clients with making color and style selections. Bryan & Teresa started their own business in Mountain Home in 1996 designing, building, and selling custom homes. All homes constructed by Bryan Bell Construction, Inc., are built energy efficient, with unique design characteristics that set them apart from the norm. 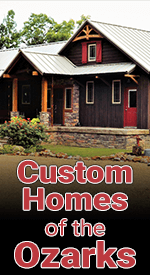 Bryan Bell Construction, Inc. is also a leader in remodeling and additions to existing homes and businesses. Bryan Bell Construction, Inc. also works closely with insurance companies to complete water and fire damage restoration. Bryan Bell Construction, Inc. now offers a full line of Custom Cabinets. Let our professional team design your dream kitchen or bath using the latest 20/20 design software. Our cabinets are built from quality materials and hand assembled. Because we offer custom stain and paint colors, as well as standard finishes, you have virtually unlimited finish choices available to you. Bryan Bell Construction, Inc. can create a custom look to fit all budgets. Bryan Bell Construction, Inc. is also a proud distributor of Real Closet Shelving. Real Closet Shelving is constructed with all wood construction and uses an all plywood core with solid Maple, profiled edges - NO particle board. Available in three beautiful finishes. Bryan Bell Construction, Inc. offers a full line of Insolroll Shades. Insolroll manufactures high quality window shade and patio shade systems for residential and commercial applications. Our expertise in controlling natural sunlight with solar screen and blackout window shades allows us to recommend the perfect window covering or patio shade solution. Control by a touch of a button. Bryan is a fully licensed and insured residential & commercial contractor in the state of Arkansas as well as a graduate of Arkansas State University. 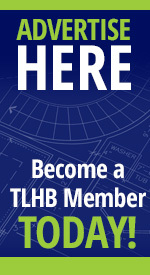 Bryan is the current Vice President and past President of the TLHB Association, and a past board member of the Mountain Home Area Chamber of Commerce. Bryan also is currently heading the board of trustees at First United Methodist Church and served on the administrative board of Serenity, Inc.
Bryan, Teresa and office staff vow to provide excellent quality and service, and will make your building project a fun and enjoyable experience on time and on budget.